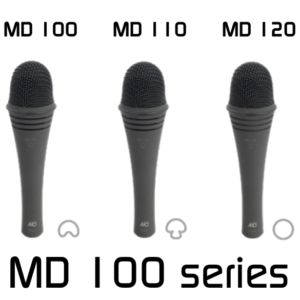 The MD 100 series is a series of rugged dynamic microphones designed for tough stage and reporter use. 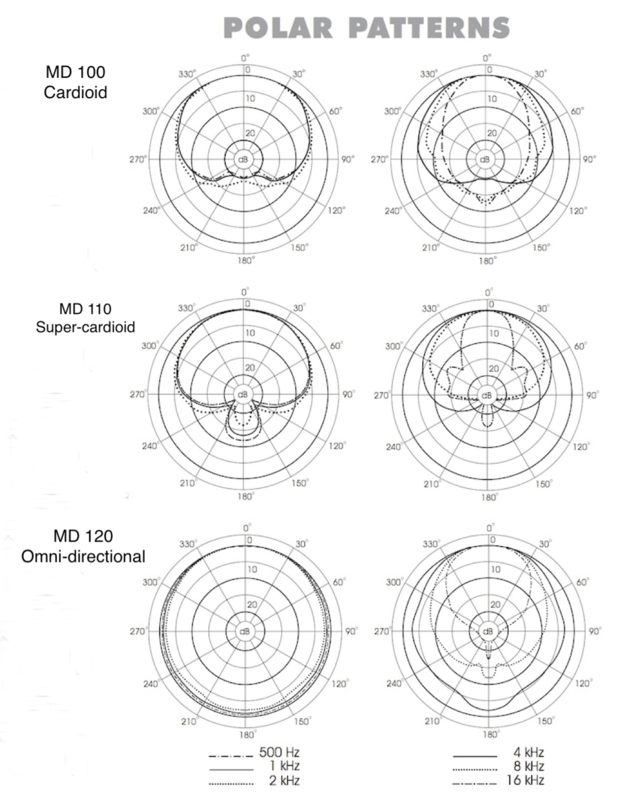 The MD 100 has a cardioid response, the MD 110 is super-cardioid and the MD 120 is omni-directional. 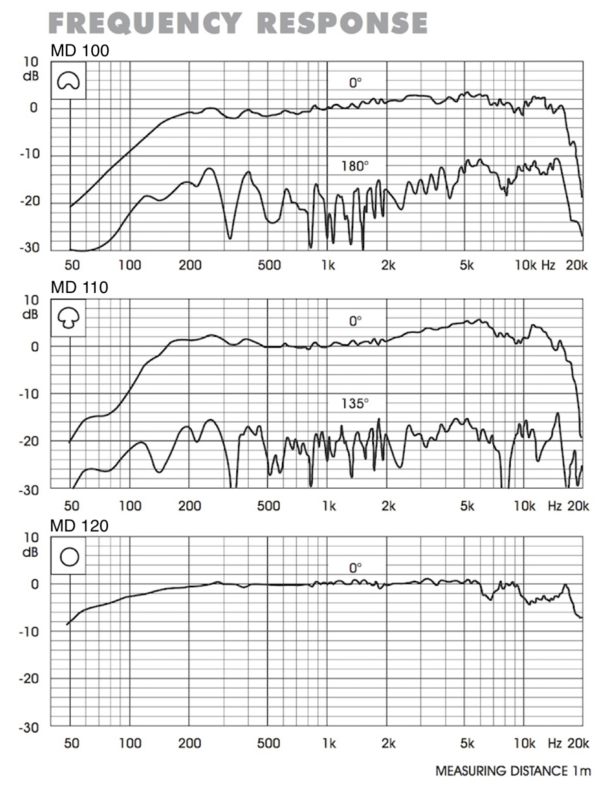 They have excellent rejection of external electromagnetic fields and are well weighted and balanced in the hand. 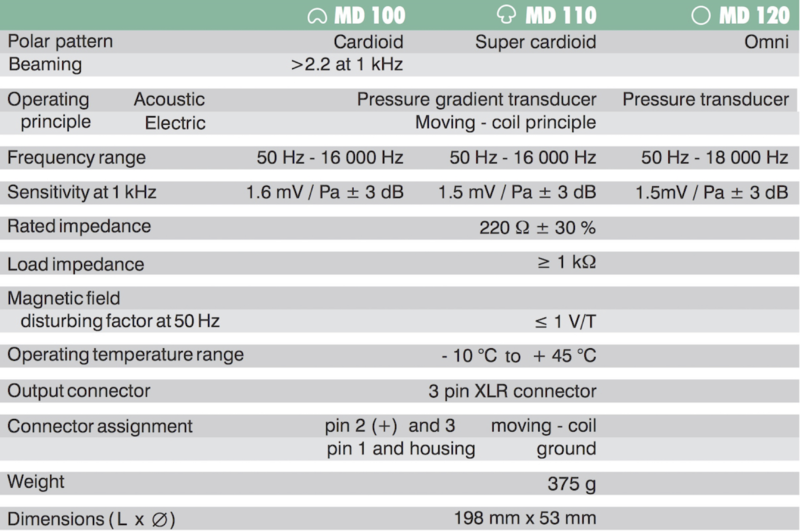 The Rugged dark grey Nextel® coating means that the microphone is unlikely to slip in sweaty hands and also non-reflective which meansd that it is unoptrusive on camera and on stage.